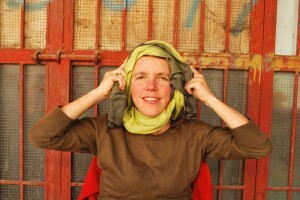 FairMail - Blog - FairMail founders Peter and Janneke on their way to Morocco! FairMail founders Peter and Janneke on their way to Morocco! By the time you read this FairMail founders Peter and Janneke will be well on their way to Morocco. In Peter’s grandmother’s old car, stashed with camera’s, computer’s, greeting cards and a card spinner they are on their way to drive the 3.800 kilometer from Amsterdam to Essaouira on the Moroccan Atlantic coast. In order to, if all goes well. to set up their third FairMail production unit. Do you want to stay informed about their adventures then regularly check into their Facebook and Tumblr page’s.